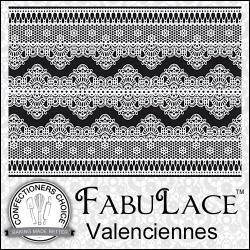 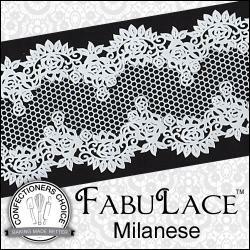 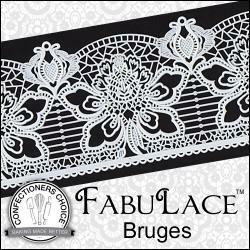 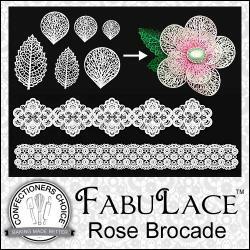 Making edible, flexible sugar lace with FabuLace™ is as easy as 1-2-3! 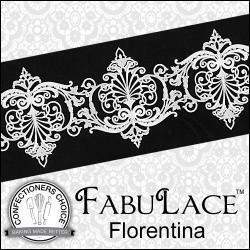 Made exclusively for the North American market with FDA approve food colors! 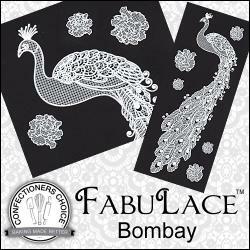 Available in Ready-Mix Gold, Silver and Pearl White. 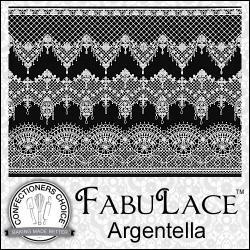 And dry mix in, White, Red and Black. 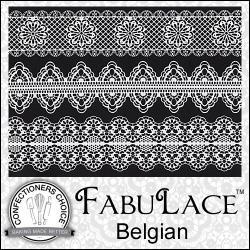 A collaboration by Flour Confections® & Swank Cake Design - FabuLace™ is an edible, flexible, sugar lace perfect for adding that "something special" to any confection!